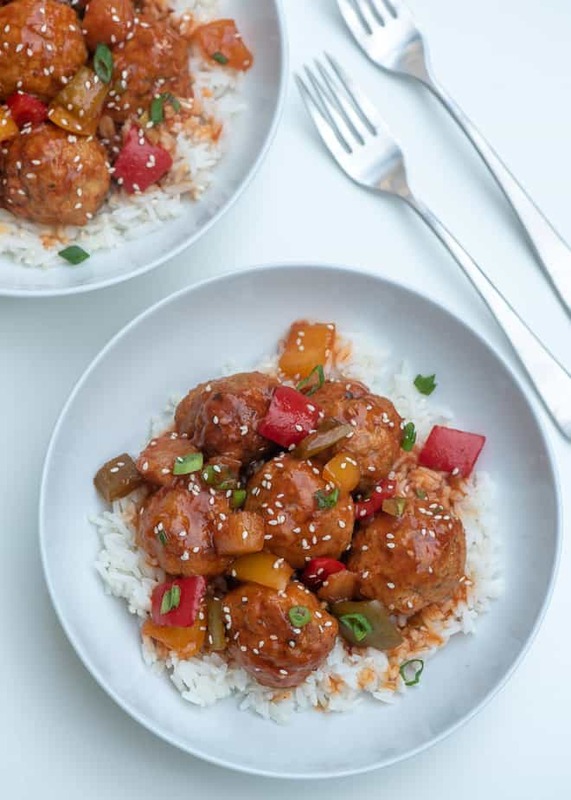 Serve these Slow Cooker Sweet and Sour Chicken Meatballs over rice for a super family-friendly dinner choice or straight out of the slow cooker for a fun party snack at your next gathering. I’ve been on a meatball kick lately. It started with recipe development for my cookbook (coming to bookstores near you later this year!). 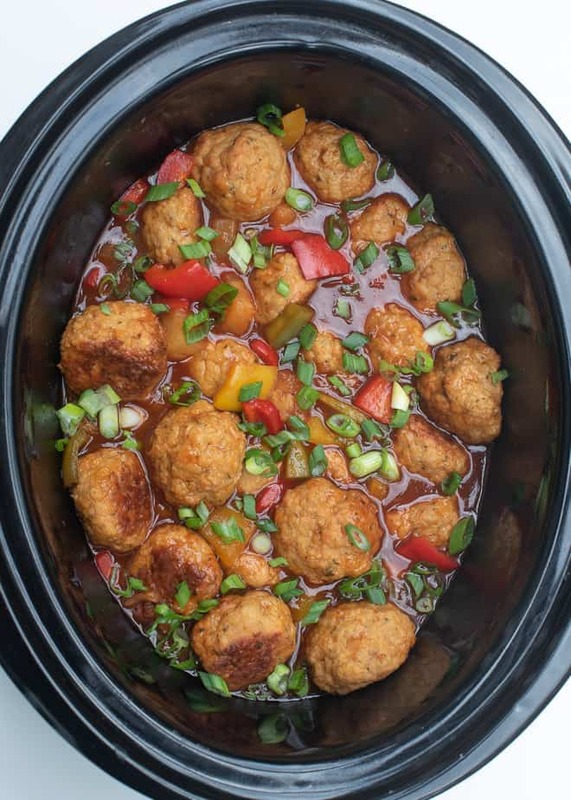 I’m so in love with a slow cooker meatball recipe that will be in the book that I’ve been stuck in meatball land ever since. Meatball land is a great place to be. 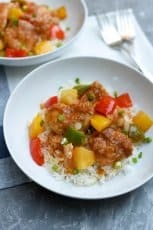 Lean ground chicken meatballs, vibrant bell peppers, and pineapple chunks cook together in a flavorful sweet and sour sauce in your slow cooker to create this meatball version of the classic takeout dish. 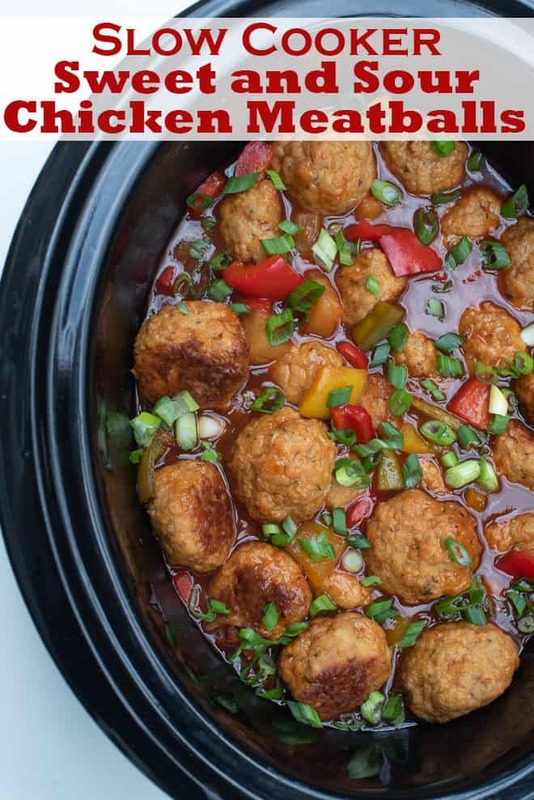 I’ve loved sweet and sour sauce since I was an itty-bitty little one and I think these meatballs will appeal to young and old alike. They are also versatile. I can’t decide if I love them more when served over rice for a no-sweat dinner or with toothpicks as a fun party appetizer. When working with ground chicken to make meatballs, you’ll discover that the mixture is very sticky. If you have trouble rolling smooth meatballs, wet your hands and try again. Works every time. 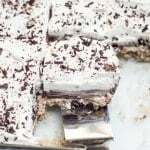 Line a baking sheet with foil and coat with it non-stick cooking spray. As you form the meatballs, place them on the prepared baking sheet. I like to spray the tops lightly with additional non-stick cooking spray because it helps them brown nicely. They bake briefly in a 450 degree F oven and then are transferred to the slow cooker. 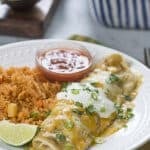 This recipe calls for canned pineapple and you want to be sure you pick up the variety of pineapple chunks that are packed in pineapple juice and not syrup. You’ll drain off and reserve the juice from the can for use in the sauce. 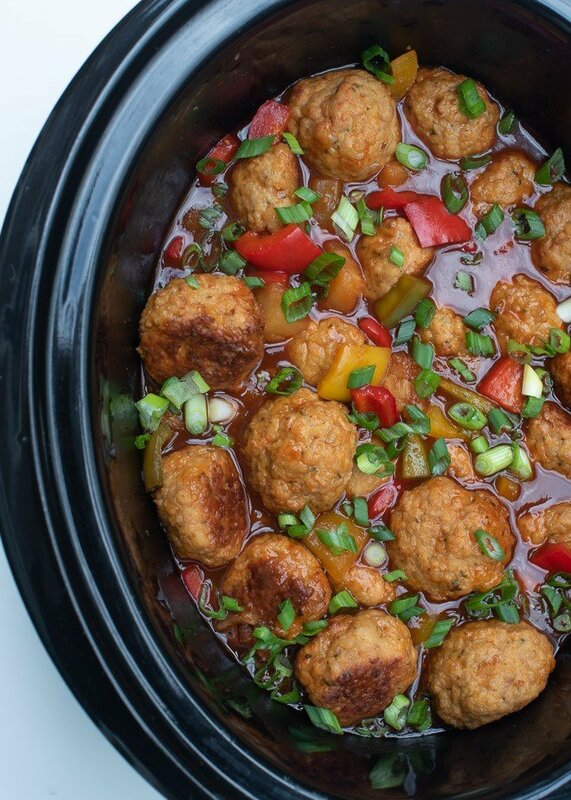 Once the easy Sweet and Sour Sauce is combined, pour it over the meatballs in the slow cooker. 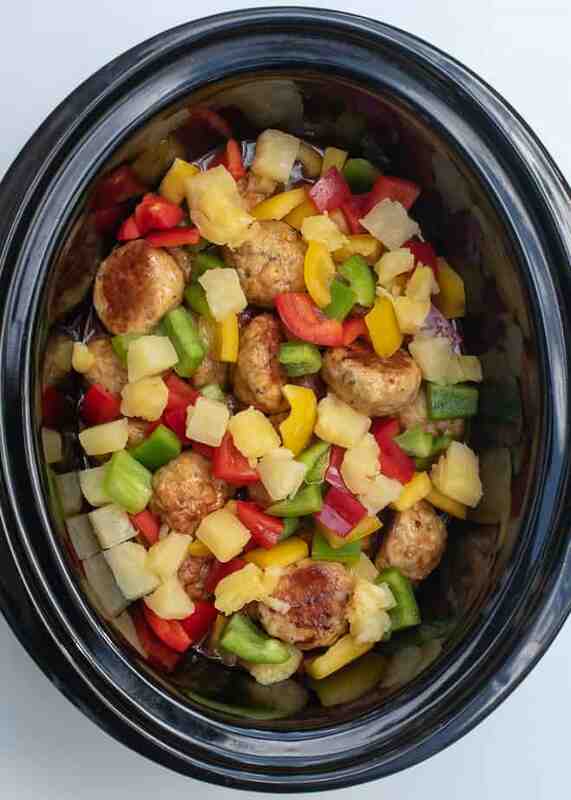 Scatter the bell peppers and pineapple chunks over the top – without stirring. 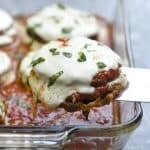 They should rest on top of the meatballs and sauce for the first part of the cooking time so they don’t get too soft. After cooking on LOW for 2 hours, remove the cover and stir in a slurry made with cornstarch and some of the pineapple juice. This will help to thicken the sauce. 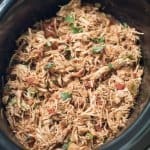 Replace the cover and continue to cook for another 20 to 30 minutes, or just until the peppers are fork tender and the sauce is glossy and slightly thickened. 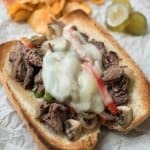 Garnish before serving with a good amount of thinly sliced green onions for color and even more flavor. 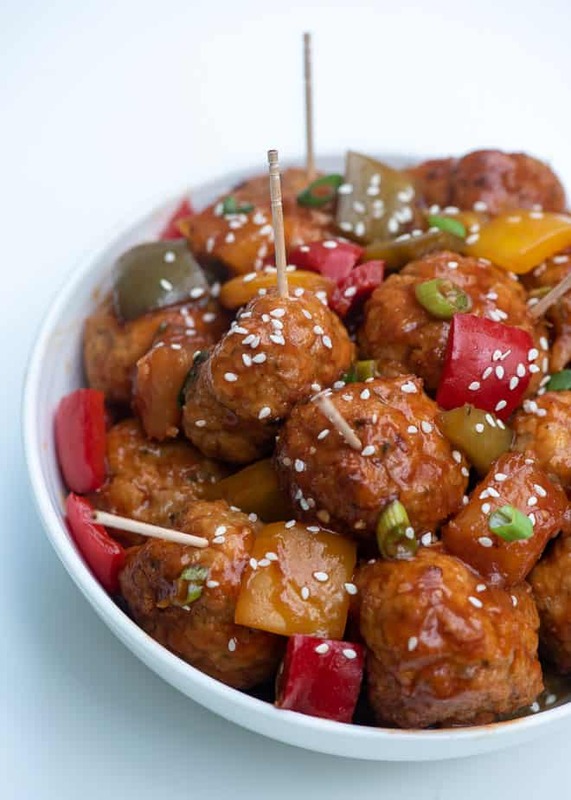 These tasty meatballs are a wonderful meal and a standout party snack. 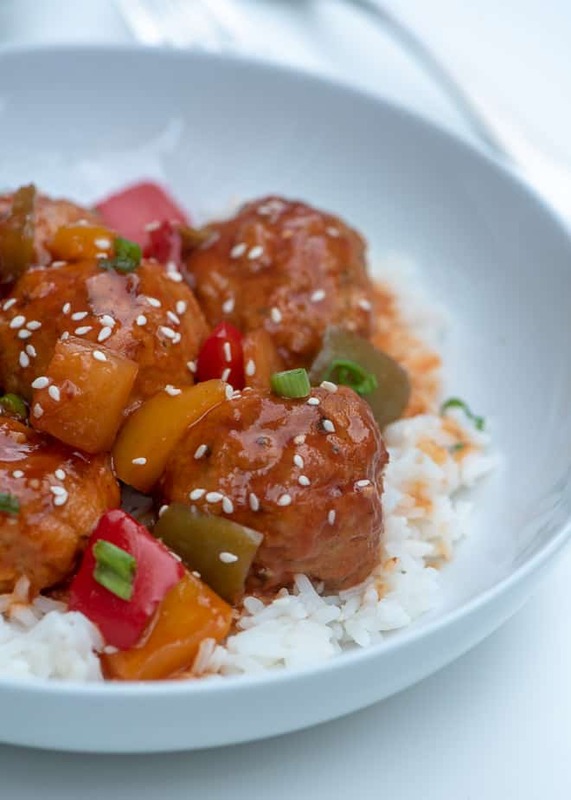 Serve these Slow Cooker Sweet and Sour Chicken Meatballs over rice for a super family-friendly dinner choice or straight out of the slow cooker at your next gathering. Preheat the oven to 450 degrees F. Line a large rimmed baking sheet with aluminum foil and coat the foil with nonstick cooking spray. In a large bowl, lightly whisk the eggs. Add remaining meatball ingredients and stir well to combine then use your hands to work the mixture until everything is well incorporated. 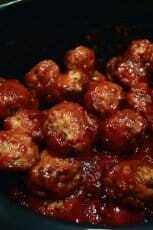 Shape the mixture into meatballs about 1 1/2" in diameter and place them on the prepared baking sheet. Wet your hands, if needed, to make it easier to roll the sticky mixture. You should end up with 26 to 28 meatballs. Spray the tops of the meatballs lightly with non-stick cooking spray. 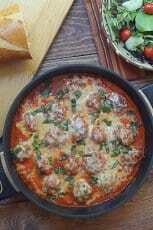 Bake the meatballs for 15 to 18 minutes, until lightly browned. They don’t need to be completely cooked through at this point. Meanwhile, drain and reserve the juice from the can of pineapple chunks and set both the pineapple and the reserved juice aside. 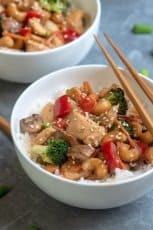 In a medium mixing bowl combine the ketchup, all but 2 tablespoons of the reserved pineapple juice (reserve 2 tablespoons for later), soy sauce, brown sugar, mirin, rice vinegar, ginger root, and garlic. Whisk to combine well. Spray the insert of a 6 quart slow cooker with non-stick cooking spray. 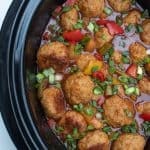 Transfer the browned meatballs and the Sweet and Sour Sauce to the prepared slow cooker, stirring to coat the meatballs with sauce. Scatter the bell peppers and pineapple chunks over the top without stirring. Cover and cook on low for 2 hours. Remove the cover and stir to combine well, mixing the peppers and pineapple into the sauce. 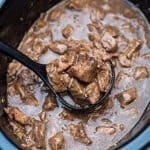 Combine the 2 tablespoons reserved pineapple juice with cornstarch in a small bowl and pour the slurry into the slow cooker and stir to combine. Cover and continue to cook for an additional 20 to 30 minutes until peppers are fork tender and the sauce is thickened. Garnish with the green onions and sesame seeds and serve over rice for dinner or transfer to a bowl and serve with toothpicks as a party appetizer.